Comment: I have a deck that is 11X18 ft that needs to have a solid stain applied. Comment: purchasing a home - looking for someone to paint the main living room area and, depending on cost, the foyer and master bed room. If the price is right, I would also consider two other bedrooms, but those are ones I could paint myself. The reason for this request is there are high ceilings that are hard for a short person to paint. Comment: I have a large deck with railings. It needs power washing and staining floor and railings. Gaithersburg Painting Contractors are rated 4.78 out of 5 based on 2,663 reviews of 115 pros. 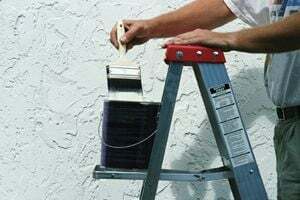 Not Looking for Painting Contractors in Gaithersburg, MD?